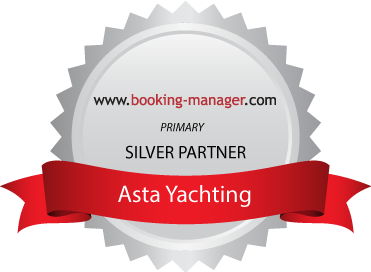 Croatia is now the Mediterranean's leading yacht charter holiday destination. You can start your Croatia sailing holiday from Zadar, city in the middle of the Dalmatian coast and explore the Kornati area which you shouldn’t miss if you visit Croatia. We have put together our sailing destination guides of the best routes for both the Dalmatian and Kornati Islands. Whether you need a quick weeklong getaway, or have two weeks to take your time exploring, our suggestions will help you make the most of your sailing holiday! With its ideal central location on the Adriatic coast, Zadar is the urban center of northern Dalmatia. It represents administrative, economic, cultural and political center of the region and counts around 75.000 inhabitants. Because of its turbulent history, rich cultural heritage and natural beauties which surround the city, it has become one of the most important tourist destinations in the country. The Kornati archipelago is situated in central Dalmatia about 15 NM south of Zadar and it is one of the most beautiful phenomena of the Croatian coast. The archipelago consists of about 150 islands, islets and rocks that cover 320km2 of sea surface, and they are the densest and most indented group of islands in the whole Adriatic Sea. The most beautiful way of visiting Kornati is of course by sea, whether you own your boat or you prefer to rent a sailboat in Croatia. Our first stop on the northern route is island Ugljan, situated in the immediate vicinity of Zadar, along which we sail to the north from Sukošan through the channel. Ugljan is one of the larger islands in the Adriatic, and a couple of towns are situated on it as well as a few smaller villages. In the northwest part of the island is the largest town on the island, which is also called Ugljan. Nearby there are several beautiful sandy beaches that we recommend for swimming and you can spend the night in Muline. Our southern recommended route for sailing Adriatic islands begins with the island of Murter. Murter is the largest and closest island to the mainland in Šibenik area, and it is separated from the coast by a narrow sea channel, over which drawbridge raises twice a day for passing of bigger boats and yachts in Tisno. Island is situated at the very entrance to the Kornati archipelago, and is an attractive destination for yachtsmen and all lovers of quiet relaxation. The beginnings of tourism in Murter date back to the 1930s, when Czech Villa was built in the bay Slanica. The outer coast of Murter is adorned with a variety of beautiful bays great for swimming, from those with a large number of tourists like the most known Slanica, to the bays in which you can practically be alone, and marina Hramina situated in the north of the island.